Websites optimised to look beautiful and work perfectly on your customers' mobiles and tablet devices. With a substantial percentage of online users browsing the web on their mobile phones and tablet devices, it is important now more than ever that websites can be viewed and used effectively on as many devices as possible. 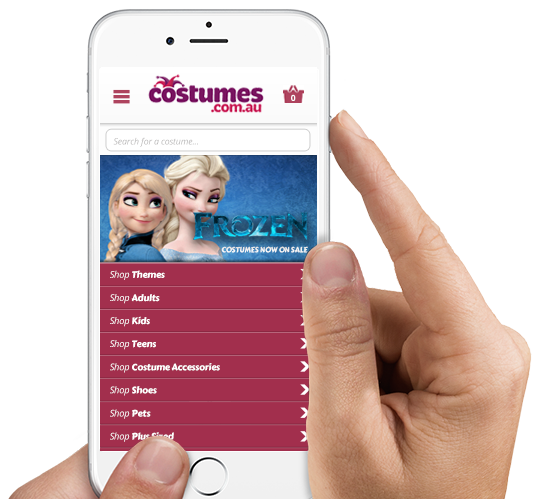 We can create a totally custom mobile site for your users, or make a desktop website responsive so it adapts to smaller devices beautifully. By developing a unique, branded mobile website, you can offer mobile users a great experience on your website, ensuring higher conversions rates. We can update your current website to be mobile-friendly, by ensuring the files, structures and layouts of your website work efficiently for mobile visitors. We can build a new website that works well on almost any device by adjusting its layout to fit the user's screen automatically. We can optimise your website to offer search engines additional information about your business that can be used to generate more conversions on mobiles. Need to offer a product to iPhone users and no one else? We can program your website to present certain ads or content to users on specific devices. We make it easy to present location-based services and content to your customers, which can greatly increase customer satisfaction and online conversions. Your customers will appreciate being able to browse a mobile-ready website. Happy customers make a happy business! Your customers are using mobile and tablet devices more than ever. Being able to reach them effectively could make or break your business. Offering a mobile-friendly website to mobile customers improves usability and can increase your rate of sales. Tell us what you need and we'll get back to you with a quote for your mobile optimisation project.